I've worked with Presto Plumbing for many years and have always been happy with the work they have performed. I use Presto for my home and my business. 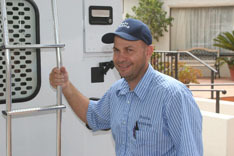 We're Your Tankless Water Heater Specialists in the Conejo Valley!